We hope you and your family made it through this week all safe and warm. We made it through this week enduring a couple of really, really cold days, some ice and a little snow, but we're back up to warmer temps. Yup, hang in there because Spring is a little more than a month away. 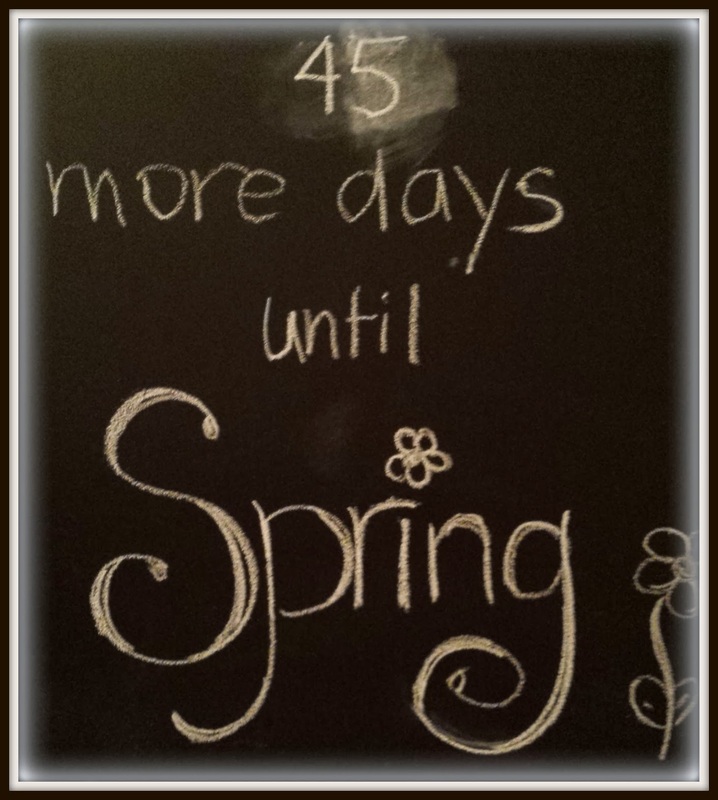 Every day I get to count one less day until Spring on the fancy framed chalkboard in our Foyer. So are you hanging in there? Are you working on projects or are you getting cabin fever? We're headed up the the Mountain Cottage for the day to finish up the rough plumbing and electrical. Of course our pipes were frozen, but I'll share about it another time. Follow me on INSTAGRAM and I might even post a quick pic or two. I guess it was no surprise that Punxsutawney Phil says there will be 6 more weeks of Winter…but I will celebrate Spring earlier! !…Love the chalkboard!